Russia’s Main Department of State Expertise (Glavgosexpertiza) says it has approved the corrected project on reconstruction of DeloPorts’ grain terminal. 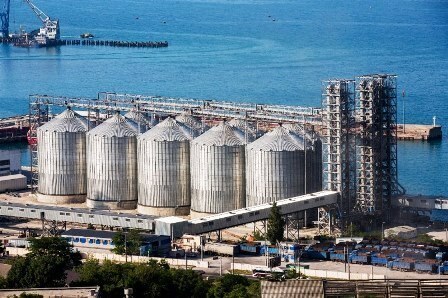 The grain terminal is located in the eastern part of the Tsemes Bay (port of Novorossiysk) in the territory of AO KSK, a deep-water grain terminal of the holding company DeloPorts. Launched in 2016, KSK terminal is Russia’s third largest grain terminal in the Black Sea Region. Grain terminal operating in the territory of AO KSK exports 2.25 million tonnes of grain per year. In view of grain transshipment increase the project provides for the terminal expansion to annual capacity of 4 million tonnes. The works will be carried out in both coastal and sea parts of the terminal while the port will continue operation. The coastal part of the project foresees reconstruction of facilities accepting grain delivered by railway and motor transport, as well as reconstruction of the conveyor gallery and transformer substations. Besides, grain storage facilities (96,000 and 6,600 in capacity) will be built as well as grain drier, grain purifier, dry grain / wet grain / waste bins, conveyor bridges and other facilities. The sea part provides for construction of a new berth and a process zone as well as reconstruction of two berths and a breakwater. Dredging works are foreseen for increasing the depth at the existing berths to ensure accommodation of large ships. The area of the construction site is 9.8 hectares.